Well here we are at the final day of Ice Cream Week 2014. 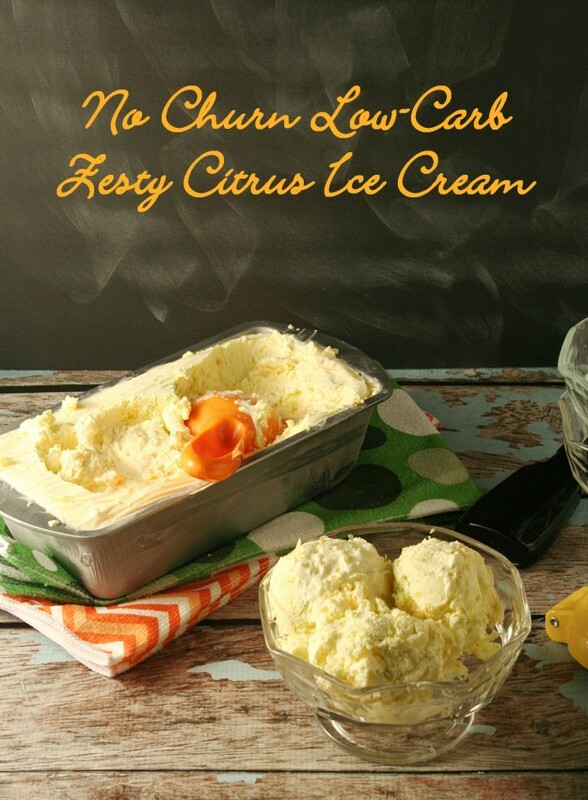 No Churn Low-Carb Zesty Citrus Ice Cream is on the menu today. This is probably more of a grown up ice cream. 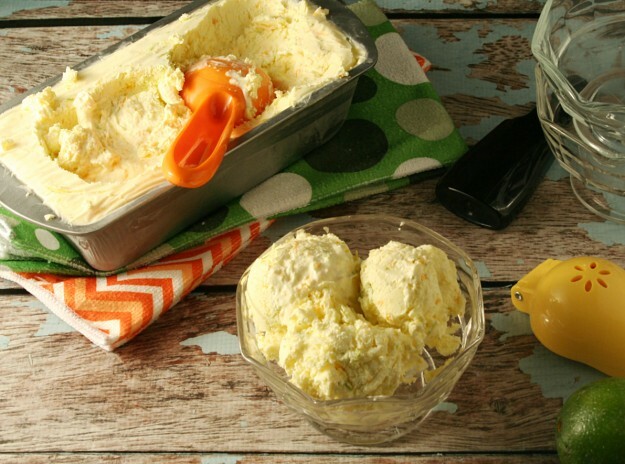 The ice cream is sweet and creamy while the zest gives it a bit of tang. The contrast is delicious but children may find the zest to be too much. Of course I have children who are more than a little picky so yours may love it! I firmly believe in exposing them to new flavors while they are young so that they learn to try new foods and hopefully eventually enjoy them. It’s been so much fun creating and sharing all of these yummy treats with you all. I hope that you have enjoyed them and that you will try some of them and maybe some new flavors of your own. If you do I would love to hear all about them! Make sure you check out the No Churn Low-Carb Blueberry Cheesecake Ice Cream, No Churn Low-Carb Mint Ice Cream, No Churn Low-Carb Peanut Butter Coffee Ice Cream and No Churn Low-Carb Fresh Peach Ice Cream recipes that I shared earlier this week. You’re sure to find something you like. Also, be sure to check out all of the fabulous recipes shared by the rest of the amazingly talented bloggers that participated in this event. Stop by and give special attention to Kim from Cravings of a Lunatic and Susan from The Girl in the Little Red Kitchen. Both Kim and Susan are not only amazing bloggers with awesome recipes to share with you but rockstar women who coordinated this whole event! Thank you Kim and Susan! Disclaimer: I did not receive any product for participating in this event. 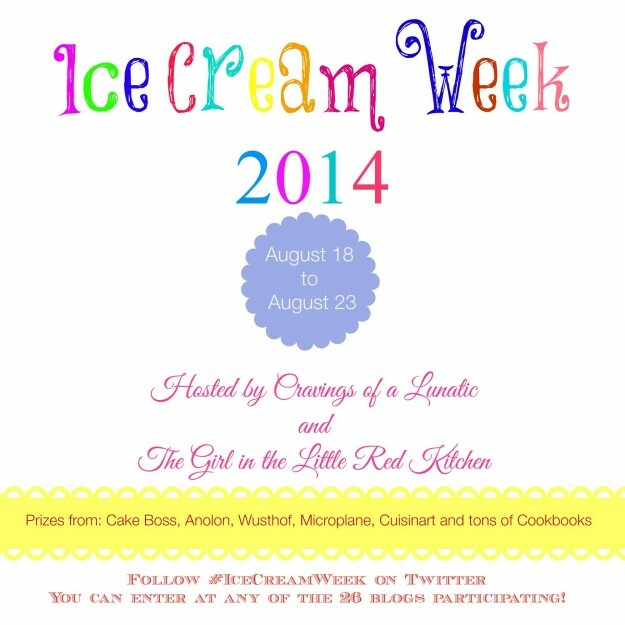 The#IceCreamWeek Giveaway is open to U.S. and Canada residents only. ONE winner will receive ALL the prizes listed. Giveaway ends at midnight on August 31st. Using a microplane zest the two oranges and lime. Set the zest aside. Juice the oranges and lime and set aside. Take your sweetener and put it in a blender and pulverize it until it is a very fine powder that resembles confectioners sugar. In a bowl or your stand mixer add your orange juice, lime juice and sugar then stir to mix. Add your heavy cream to the juice & sugar mixture. Whip until soft peaks form. Pour into a loaf pan. Place saran wrap on the top of the ice cream mixture so that it lays directly onto the ice cream and seal tightly around the pan. Try to keep air from getting trapped between ice cream and saran wrap. Freeze for 4 to 6 hours or until firm. If ice cream becomes too firm to scoop just let sit out on the counter for a bit until you can scoop it. Thank you, Kirsten. If you decide to try it sometime I would love to hear if your kids liked it. Mine were weirded out by the bite of the orange zest but I personally loved it. Thank you, Tara. You are so sweet! I love the fresh flavor of home made peach ice cream in the summer.